I frequently get questions about Community Service Hours (or Volunteer Service Hours). Folks are a little fuzzy on what is meant by the term and how many are needed. Let’s start with a definition. 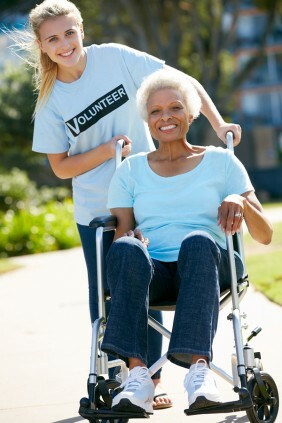 Volunteer Service Hours are the compilation of time your student spends doing things for other people. If it counts for a school credit, you cannot also count it as time spent volunteering. If your kids are paid for it, it does not count. If it is just participating in an extracurricular activity, it does not count. So, if your student mows your elderly neighbor’s lawn, it counts. If they are paid by the neighbor, it doesn’t. If they mow your lawn, it does not count as that is just part of being a family and they benefit financially from that arrangement. If they are a musician, time spent playing a benefit performance for a charity would count (as well as time to prepare and commute). Regular practice time does not count. If they attend a Boy Scout meeting, it does not count. It does count if they are leading the meeting (which benefits other boys), teaching merit badge workshops, organizing trips, buying supplies for other students, spending a week as an unpaid counselor at camp, etc. In the case of a counselor, we would count the waking hours when they were responsible for other campers. Athletes do not count practice, games, or paid refereeing. Coaching a younger student, setting up conditioning practice for the team, volunteering to work a tournament, etc. would count. Leading a Bible study or mentoring younger students counts as does setting up or tearing down for an activity. Preparing a meal for another family in crisis counts. Volunteer babysitting to assist a family in need counts. Watching their own younger siblings does not. How many hours does a student need? This question usually comes from moms whose kids are up for National Merit Scholarships or are applying to selective colleges. Unfortunately, there is not a standard answer to add to a checklist. It depends on the student. Colleges and scholarship committees want to see that kids aren’t totally self-centered, but they understand that there are only so many hours in a day. For example, kids who are at a pre-professional level in music, sports, or dance will have fewer hours to volunteer because of the huge time commitment to their discipline. If your family is financially strapped and your student is working to pay for their own AP classes and help the family survive, they will obviously not have many, if any, volunteer hours. I’ve worked with kids who had 1,500 volunteer service hours and I’ve worked with students that only had around 250. For the average student who is not in a pre-professional program or working, I like to see around 500, but again, it depends on each individual situation. Most colleges that are interested in how your student spends their time give your child the chance to explain what they do. That normally takes the form of asking about each activity and allowing the student to share how many hours per week and how many weeks per year are spent. I advise students to volunteer significantly for a few things they care about rather than throw a few hours a month at various charities just to count the time. Remember, it is not the total number of hours that matters. Colleges and scholarship competitions want to see that your child has spent their time in meaningful ways that enrich life for themselves and for others.